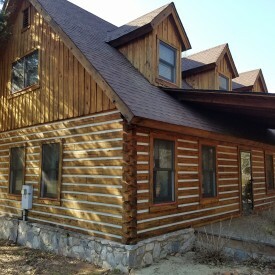 888-LOG-GUYS not only specializes in log home restoration! 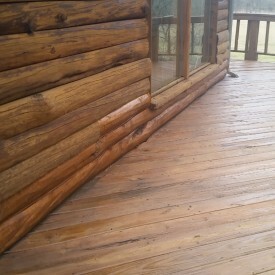 We can repair your log home or log cabin, apply chinking or caulking to your logs, build additions to your log home or log cabin, and preserve your log home or log cabin through proper maintenance. We are your trusted log home care experts, prepared to serve you in the Spring Hill Tennessee area. Our staff would love to hear from you, so ask what 888-LOG-GUYS can do for you! You can call our number or request an estimate from our website! 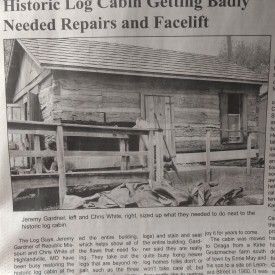 Have you waited and waited to clean your log home or log cabin only to realize that it now needs to be fully restored? Don’t despair! At 888-LOG-GUYS, we have the solution that will fit your log home’s needs. Our process includes media blasting (corn cob, glass, sand, and walnut blasting), sanding, borate treatment, energy seal application, and staining. You may choose which services you would like, and our knowledgeable staff will recommend the best way to rejuvenate your log home! You aren’t quite sure what is going on, but you have noticed that your logs aren’t as hard as they used to be. Or maybe you don’t know how the logs got holes in them. 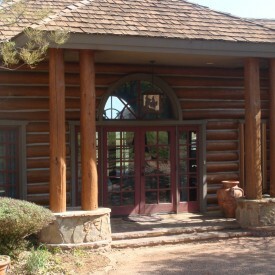 If you feel as though your log home is in need of repair, call 888-LOG-GUYS to help you! You can also request for a free estimate online, and our professional staff will be able to look at your home and present a solution to your problem! 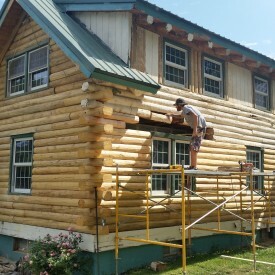 Our experienced crew can fix your log home or log cabin back to as good as new! An energy seal for your log home or log cabin blocks insects from invading your home, stops air drafts in between logs and around windows, and prevents water leaks from happening. If you need chinking or caulking applied in between your logs or if you need to have your energy seal repaired, ask 888-LOG-GUYS to do it for you! Call us or ask for an estimate online! From first contact to finished project, your satisfaction is guaranteed! Although we don’t currently build log homes from the ground up, you can trust us to constructing log home additions to improve your home and increase its value. We have built decks and porches, log staircases, and log railings, just to name a few. If you live in the Spring Hill TN area, we can help your log home improvement dreams become real. Don’t hesitate to call us with any questions or ideas you have! Our staff and crew would love to transform your home to its best! 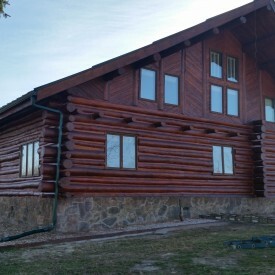 As your log home care experts, we know what it takes to maintain your log home or log cabin. Our staff is dedicated to the upkeep of your log home, and we’ll keep track of when your home will need to be cleaned and another coat of stain applied. We will always be available to help you when unexpected things happen. Once you have used our services, you will not turn back! Your satisfaction is our mission! Call us today!